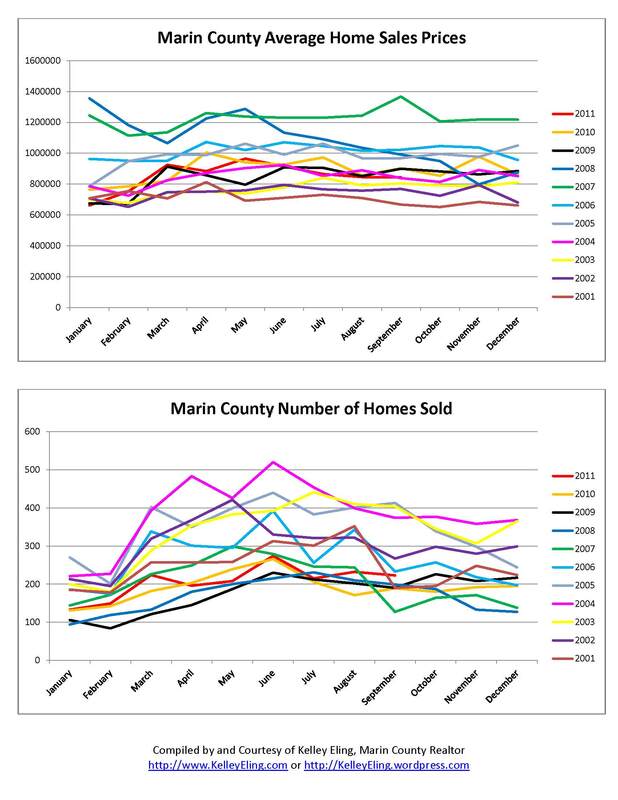 As you can see in the charts below, the average sales price of homes in Marin County is hovering right around where they were in 2004 — which is about where they should be if you look at the historical curve and remove the artificial spike from the mortgage shenanigans from recent years. The volume of home sales is about the same as last year, but certainly better than it was at the bottom in 2009. All in all, we can’t complain here in Marin County. Life is good here. To learn more about Marin County in general search more around this blog, visit my website or feel free to contact me directly. To search our MLS for all current available listings click here.